Welcome to Sunstate Vacation Travel Agency! Sunstate Travel Agency was established in 1983. Owner, Norbert Tuseo was the 1st individual in the United States to ever accomplish the educational requirements to become a registered resort representative (RRP) as designated by the American Resort & Residential Association (ARRDA). 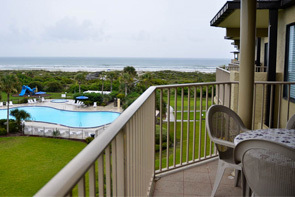 Sunstate travel specializes in two St. Augustine beach vacation rentals. 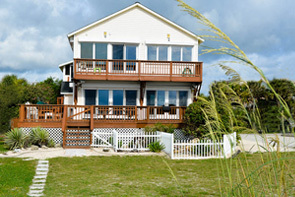 Our two St. Augustine vacation rentals can be rented daily, weekly or monthly. Unlike all other vacation rentals in St. Augustine, these properties do not charge a cleaning fee. Yes, that is right, free pre and post cleanings!! These St. Augustine properties provide free Wi-Fi, free parking, no security fees, no damage waiver fees or resort fees! Our St. Augustine beach Colony Reef Ocean view Condo (sleeps 2-10) also provides free tennis and free HBO! When you vacation in any of our two St. Augustine rentals, you may park for free in our downtown parking lot while sightseeing, which will save you $15 per day parking fees in the historic district! You will find the quality of these properties to be tops in St. Augustine and the prices to be the best without the cleaning, parking, Wi-Fi and other fees charged by the other vacation rentals on St. Augustine beach. If you have any questions about these properties please contact Norbert Tuseo.